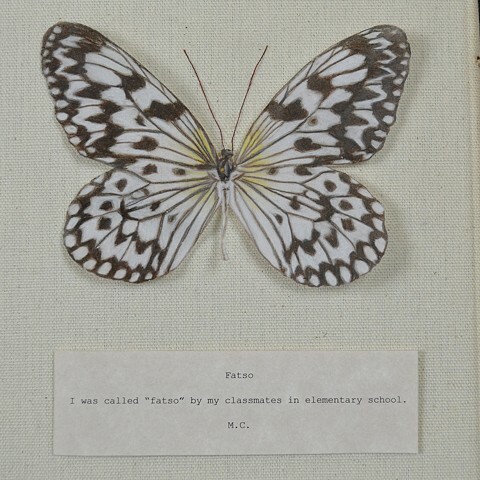 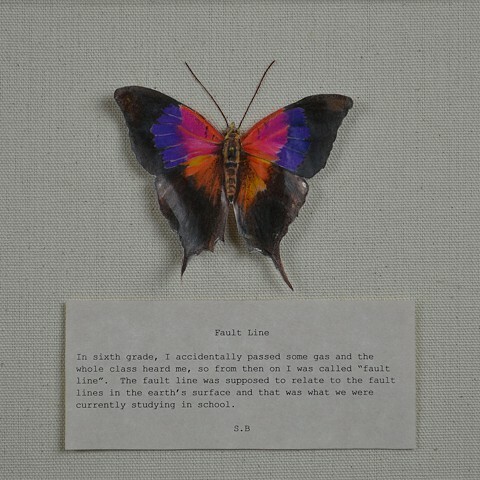 I have an ongoing fascination with butterflies. 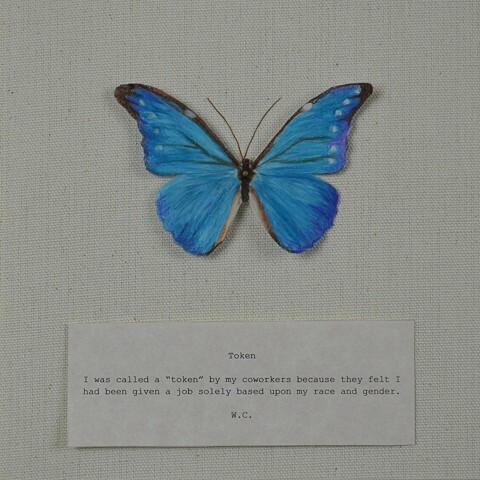 To me, they represent preciousness because of their size, fragility, and fleeting nature. 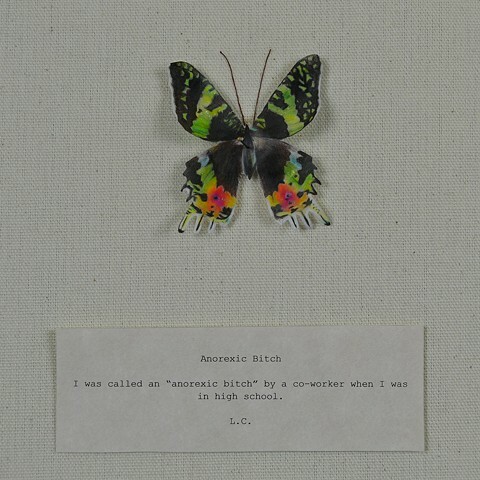 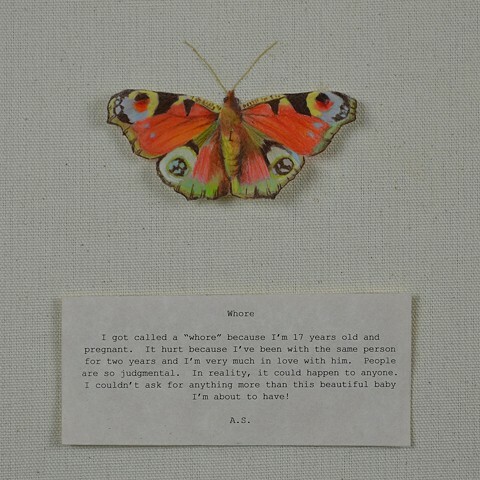 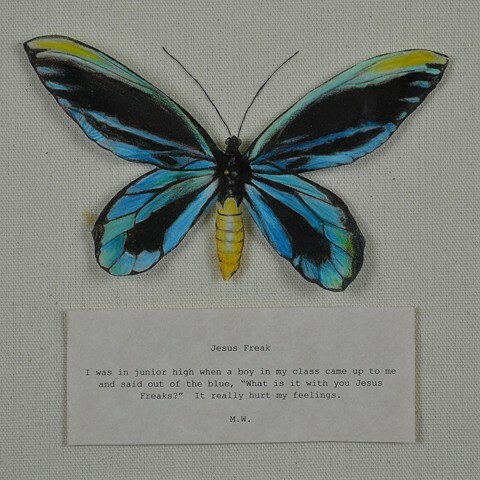 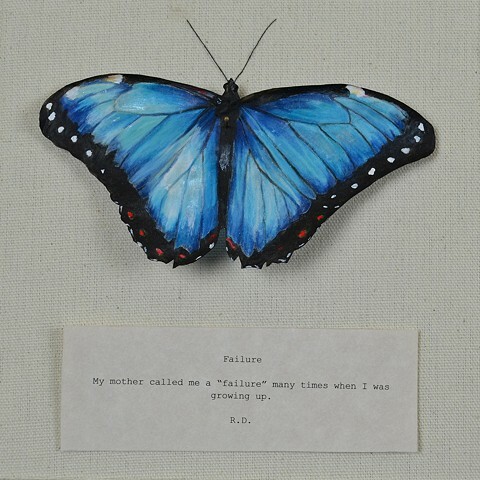 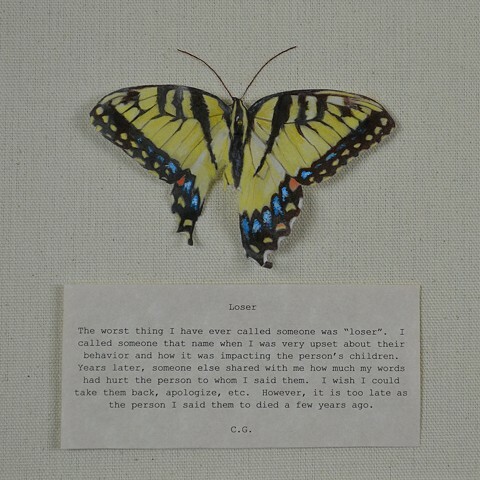 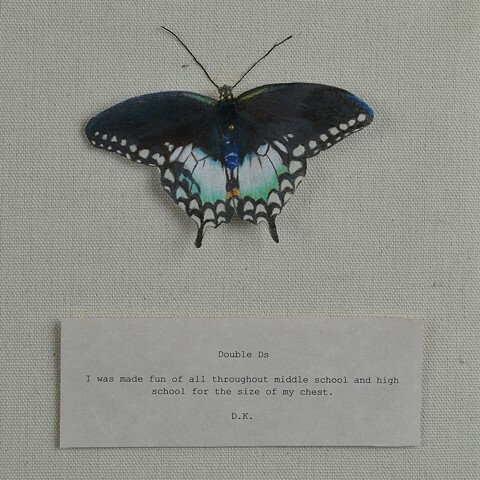 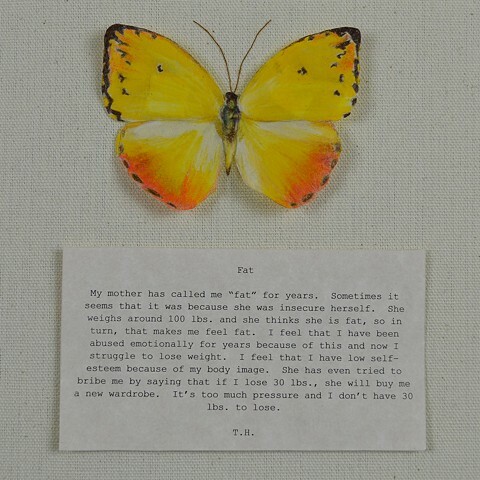 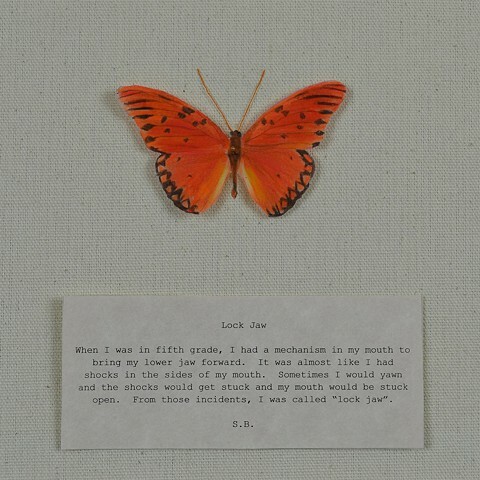 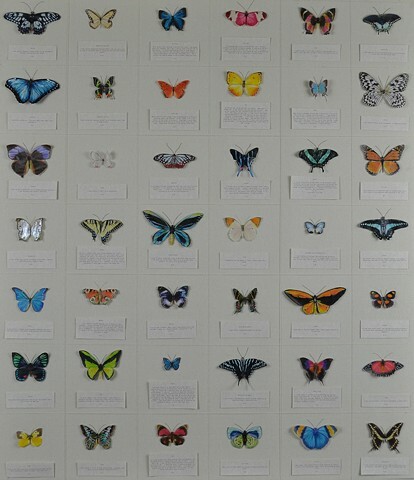 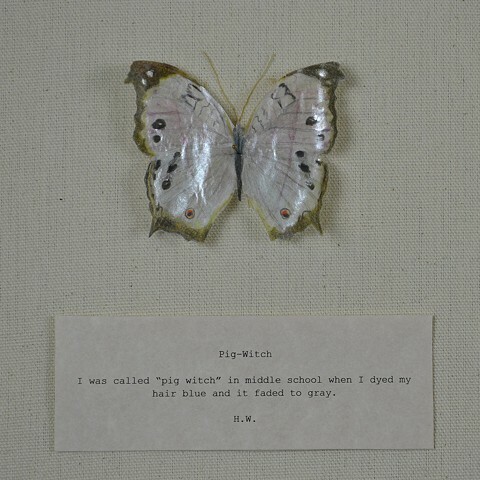 People are precious and fragile beings, and I feel this is represented in my piece titled Lepidoptera. 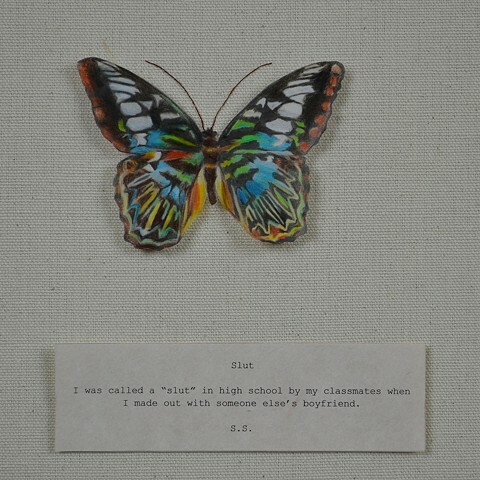 For this project, I interviewed people, asking them the worst name they have ever been called and a brief story behind it. 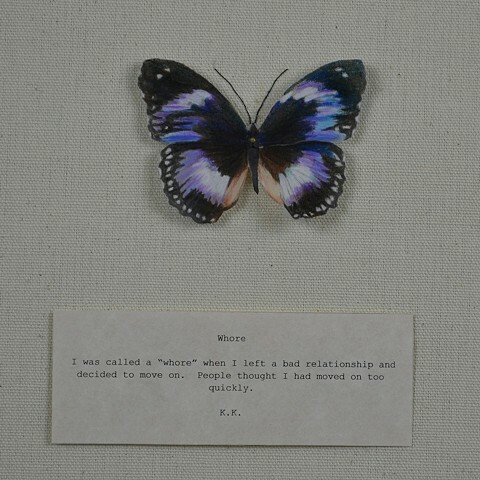 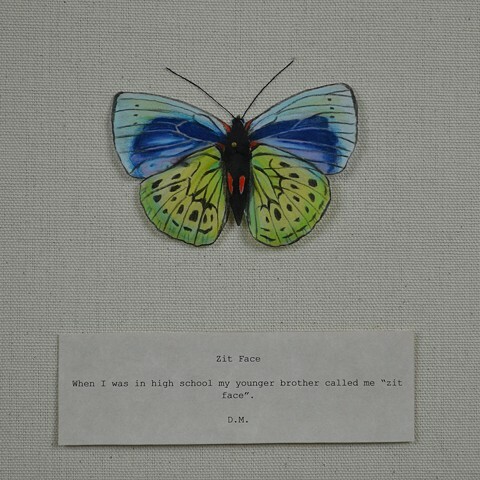 This piece connects the fragile nature of the butterflies I am so drawn to and the emotions of the people I interact with every day.